When we are not sailing in the Archipelago, we enjoy the usual tourist occupations of exploring new places, sampling the local food (and drink) and visiting the beautiful Lutheran churches that are found in every town in Sweden. The interiors are gorgeous with elaborate decorations and vivid religious paintings. 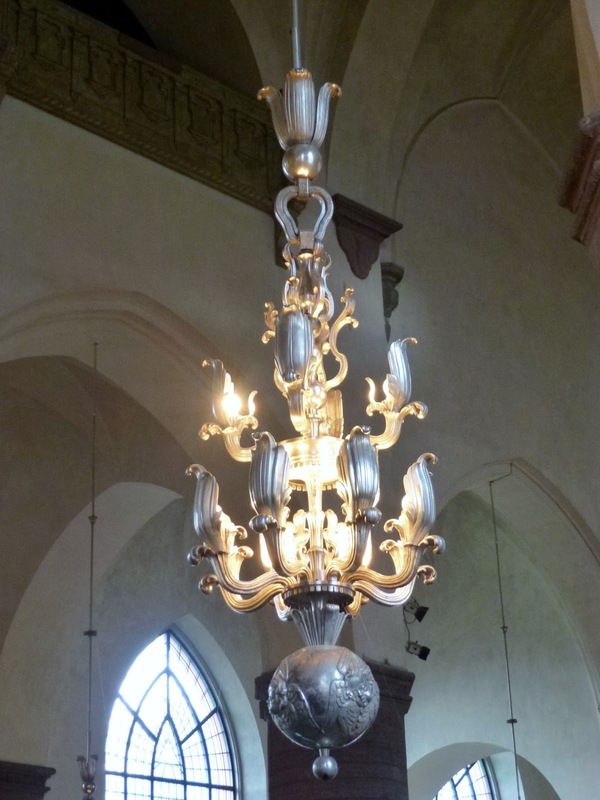 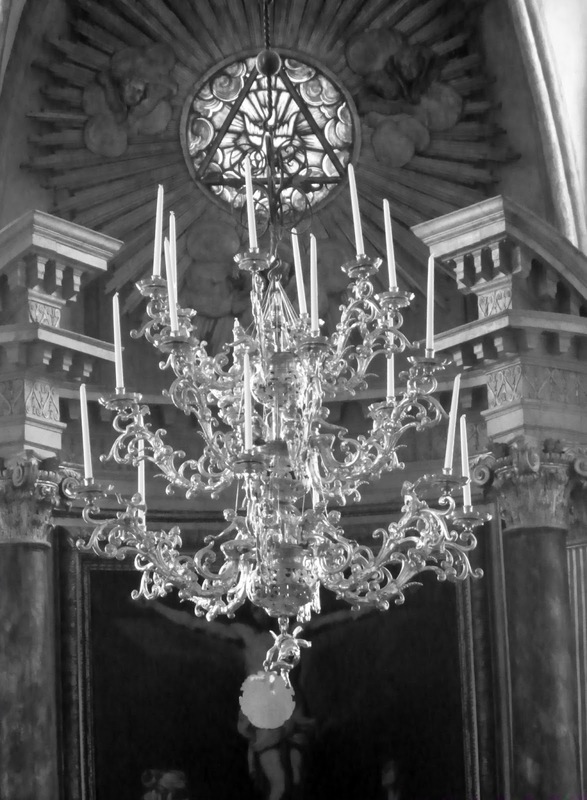 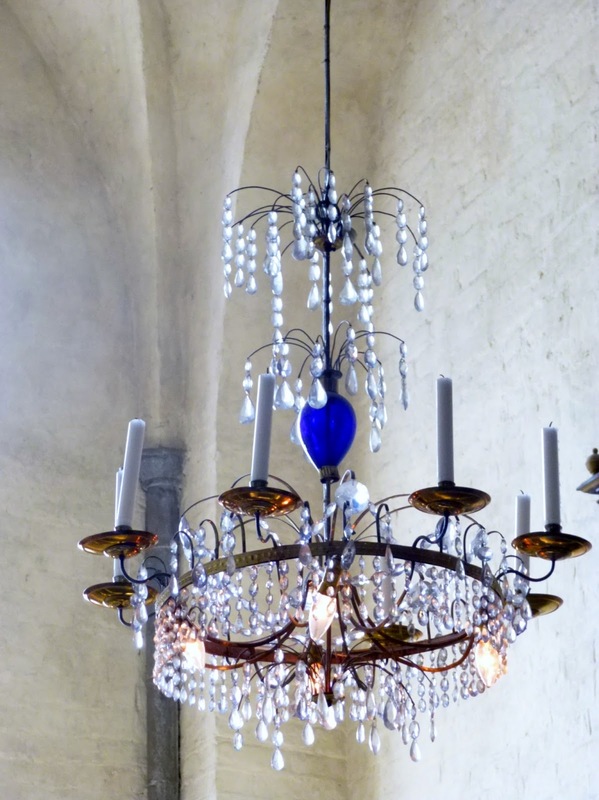 I was particularly drawn to the exquisite chandeliers. My favourite is the one with the deep blue crystal at its centre. 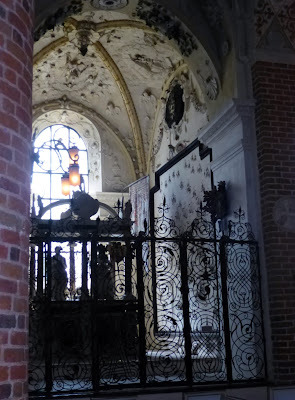 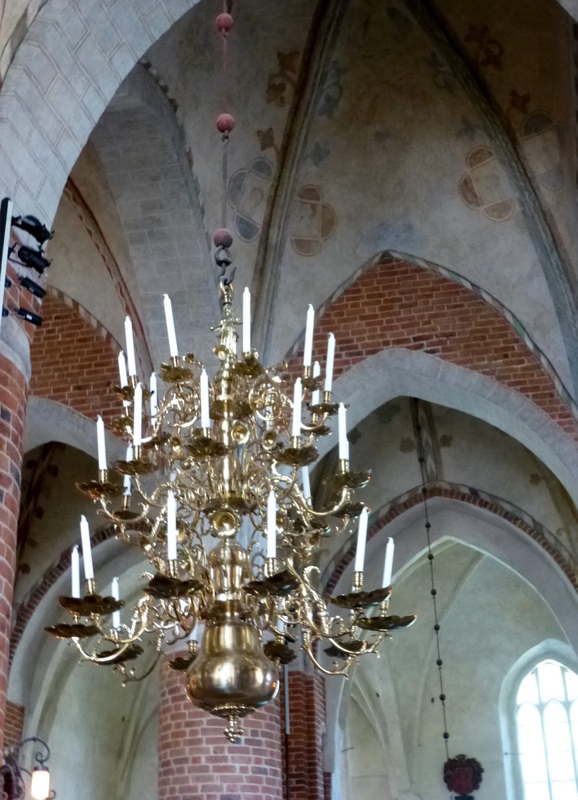 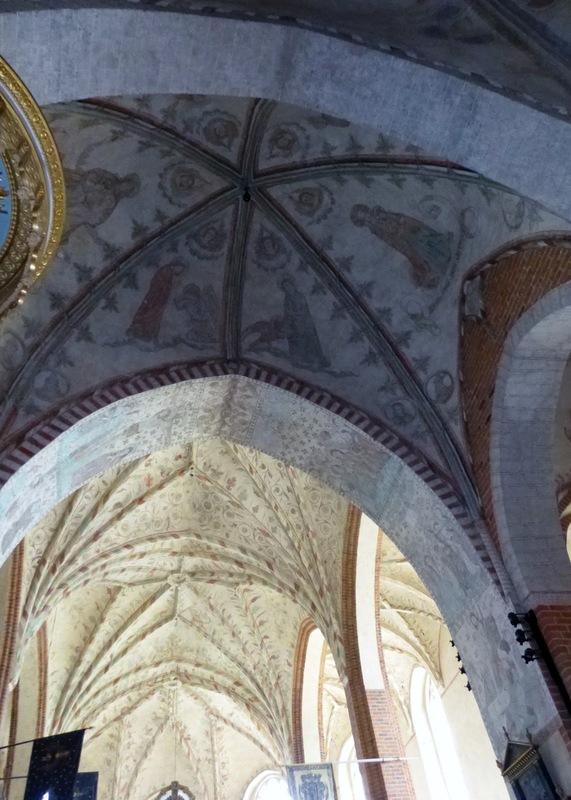 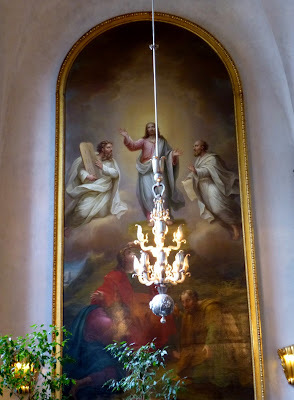 The atmosphere is very different to English churches and they are a very useful source of Swedish history.